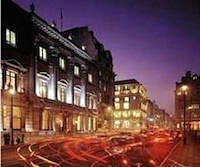 Located at 50 St. James Street, FIFTY London Casino is one of the top land based casinos in the United Kingdom. 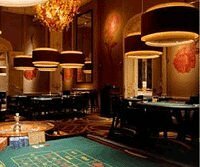 Established in 1827, FIFTY London Casino is housed in an elegant 5-story townhouse and offers the casino buffs visually impressive gaming rooms to play their favorite casino table games. The building also features a club lounge, upscale bars and restaurants. FIFTY London Casino features a total of 19 popular casino table games – Blackjack, Casino Stud Poker, Roulette and Punto Banco. Casino Stud Poker – 1 table – Bets range from £25 Ante to £2,000 Ante. Smart Dress, Jacket required at all times. FIFTY London is a members’ only club. Membership needs to be renewed annually. For U.K membership a preferred rate of £750 is required (£650 only if paid by direct debit). Try Some Casino Games at UK Licensed Online Casino!